Stirling is very good product and variety of scents. Azarro Chrome balm maybe not the best for skin (parabens) but scent like from another world. Gilbert Henry French Lavender has recently become my favorite aftershave balm. High quality carrier oils blended beautifully. Outperforms other high priced balms with similar ingredients at a great price point. For me L'Occitane win hands down over every other balm I've tried superb stuff any of their Edt matching balms will get my thumbs up. These are my favorite balms. I actually like the face feel of the CRSW and Reef Point a bit more than the Soap Commander because my face just feels a bit more moisturized and hydrated. Artisan - Chatillon Lux AS Salve. - Superb! For me it's the Myrsol Emulsion with close second the Faena Delicato. I own only these two now, I sold all the others. Esbjerg Aftershave Milk. This stuff is perfect. In order to enjoy the scents, I primarily use splash aftershaves. 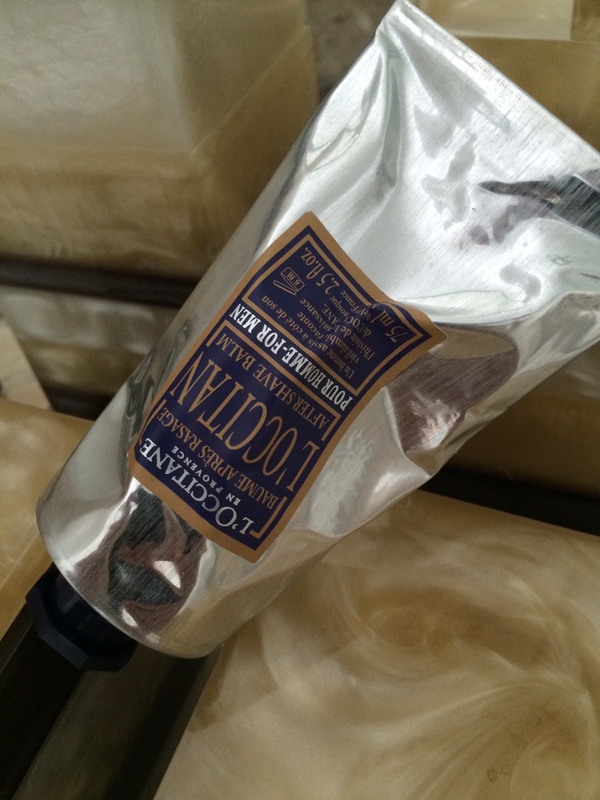 But when I need the soothing qualities of a balm, the best I've found is Santa Maria Novella Emulsione Analcolica. Very calming on the skin. (01-24-2016, 05:59 AM)nikos.a Wrote: For me it's the Myrsol Emulsion with close second the Faena Delicato. I own only these two now, I sold all the others. +1 for Myrsol Emlsion. I have never tried Faena Delicato but will put it on my radar. (01-24-2016, 11:28 AM)churchilllafemme Wrote: In order to enjoy the scents, I primarily use splash aftershaves. But when I need the soothing qualities of a balm, the best I've found is Santa Maria Novella Emulsione Analcolica. Very calming on the skin. I agree with you SMN Emulsione Analcolica is excellent, and in my opinion superior to Myrsol Emulsion, and while I dislike the scent of Myrsol Emulsion I also feel the performance of the SMN version to be better. I love the menthol in soap commander balms. Stirling has some great scents, like barbershop & executive man. Great face feel from both vendors.